I have really bad TMJ, and it got so bad the other week that I couldn’t eat applesauce or oatmeal without being in a lot of pain. I hate going to the dentist, partly because it can be so expensive, and I didn’t know how much they could do for TMJ. But Dr. Marek and his staff in Joliet were very helpful, they go above and beyond my expectations and I left feeling very satisfied. They treat their patients with respect and really care about them. I was finally able to eat thanks to them, and it had been a long time since I could. It wasn’t that expensive either. Anyone looking for a top dentist near Joliet should go to Dr. Marek. Dr. Marek was able to see me within a few hours after I called, and I didn’t wait very long when I got there. They also sedated me using an IV, which helped me greatly because I am very anxious about the dentist, so much so that I often have panic attacks sitting in the chair. I got 2 wisdom teeth that were bugging me removed. I didn’t experience a lot of pain during or after the tooth removal, and there wasn’t a lot of swelling. They provided me with an aftercare instruction sheet that was very helpful. The assistant was kind and patient, and so was the dentist. This place is awesome, I would highly recommend it. When I moved to Joliet, Illinois I was worried about finding a good dentist near me. I’ve had some terrible dentists before, but after doing some research I found Dr. Marek, and I’m so glad I did. The staff is kind and helped me through the whole new patient process. I didn’t have any pain during the cleaning or the exam, and the staff pointed out issues and gave me some very helpful tips to improve my dental health. 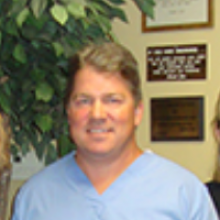 Dr. Marek was friendly and easy to talk to. Instead of telling me I needed a ton of work done he said we’d wait and see how the problem areas developed. His approach will save me money. They made scheduling an appointment a breeze. I called on a Wednesday, and they were able to see me the next morning. They were willing to work with my schedule, which I really appreciated. They made going to the dentist easy and even enjoyable. I would recommend Dr. Marek, to anyone in the Joliet, Il area. Unlike dental insurance, a direct dental plan with Dr. Marek and Doctors Network is a membership that gives you access to significant discounts on almost all of our services. Everyone can join for a low monthly fee of $34.99 and a one-time activation fee of the equal amount. The cost of membership is typically a fraction of most dental insurance premiums. Patients who sign up for a direct dental plan through our office in Joliet can attend routine preventive exams and cleanings for only $25 per visit. This includes X-rays, when necessary, and the cost does not change no matter how many times you visit per year. When cosmetic or restorative treatment is required, the costs of your treatment will be discounted by up to 90%, including fillings, dental crowns, dental implants, Invisalign® and more. Dr. Marek, our team, and the experts at Doctors Network share the common goal of making dental care simpler, more affordable, and more attainable for all of our patients. Please note that a direct dental plan is not insurance, and is not designed to replace your existing coverage. We offer this direct dental plan to help reduce your out-of-pocket expenses and therefore maintain your oral health. If you have questions about Doctors Network, or are ready to sign up, then contact Dr. Marek at Steven E. Marek DDS, Ltd today, or call Doctors Network at 1-866-800-3168. Routine family dentistry is as important to your smile as good hygiene. For example, checkups and cleanings are necessary to evade oral health issues such as tooth cavities and periodontitis. At our Joliet, IL dental office, Dr. Marek and our team offer a variety of general dentistry treatments to help your family enjoy a lifetime of beautiful, healthy smiles. For your smile as well as your physical well-being, prevention is vital. Therefore, the primary focus of exceptional dental care is preventing dental diseases from developing in the first place. Besides keeping your teeth clean with good hygiene, professional dental cleanings and exams help stop the development of bacteria-rich plaque. Other treatments, such as teeth-whitening, clear braces, and treatment for teeth-grinding, can also help you manage existing issues before they grow worse. During your visit to your dentist’s office, your dentist will carefully perform a comprehensive dental exam for signs of trouble. If any are present, then he or she will discuss your options for treatment to stop the problem from growing worse. However, caring for your smile will still rely on routine visits with your general dentist. Speak with Your Joliet Dentist Today! By emphasizing the value of prevention, general dentistry is essential to keeping your smile healthy and beautiful. To schedule your next visit, call Dr. Marek's dental office in Joliet, IL today at (815) 729-9000.